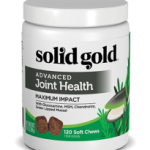 Congratulations to Solid Gold Pet, Great Life Performance Pet Food and Pioneer Naturals for being named on The Whole Dog Journal (WDJ) 2014 List of Approved Dry Dog Foods. For 17 years WDJ has been annually reviewing dog foods to assist dog owner in food selection. 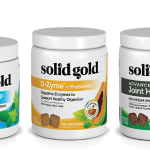 Ask For Solid Gold, Great Life or Pioneer Naturals at a Northland Retailer near you.